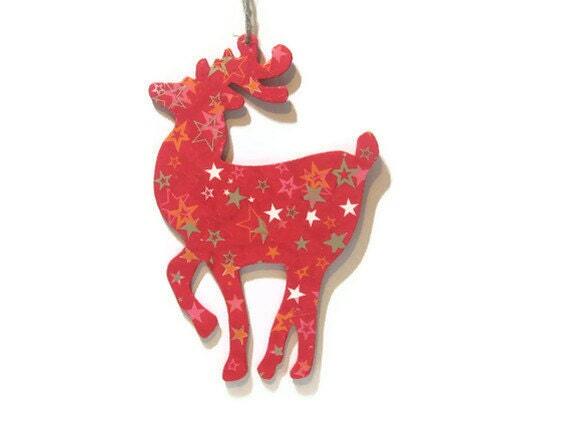 A large wooden laser cut prancing reindeer which has been covered in pretty decopatch papers in red and accented with stars. The reindeer has been varnished to give a glossy look and finished with natural twine. Ideal for hanging on your tree or around the home at holiday time. PLEASE NOTE: This item is not a toy and not suitable for small children.